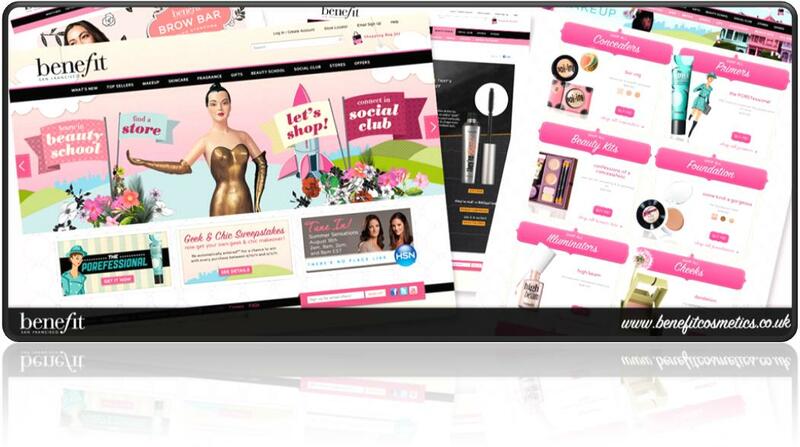 Make Up, Now With Even More Interactivity | Bright & Beautyfull! I don’t like video games because I am bad at them. I’m bad at them because I don’t play them, and I know — I know — that if I don’t play them, I’m never going to get better at them, and if I don’t get better at them, I will never like them. Not that it’s a burning ambition of mine to ace Red Dead Redemption, even though there are horses in it, but Kids Today™ are into them, and I like to keep up. I feel like the new Benefit website has all the design and fun of a video game, with fewer explosions. The site sports the usual high-end Benefit design. I went directly to the Beauty School tab and did not pass go, and would probs drop way more than $200 if I let myself. There are videos, some of which seem to be just for fun, and others which are tutorials, and very helpful. And they short, which is vital: I see a video over 5 minutes long, I close the tab. My favourite time of all time? 1:30. I know, it’s a disgrace. The entire site is produced to the n-th degree, which is a good thing, and everything — images, animations and videos — loads really quickly, and that totally matters.